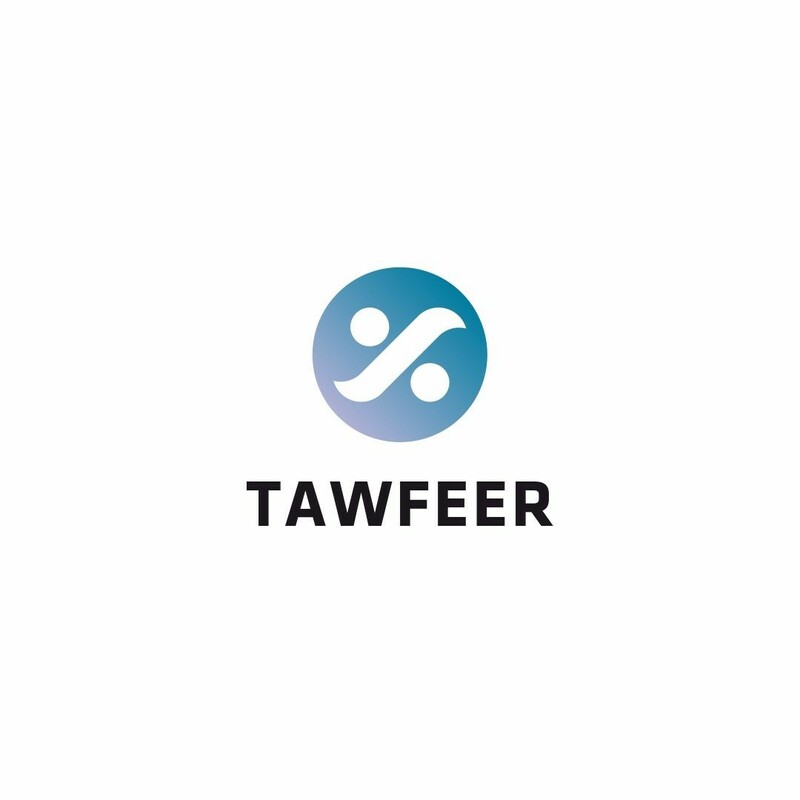 Tawfeer is a mobile application that offers special discounts and offers on various services, retail, shopping, restaurants and other experiences in the Arabic Gulf area. 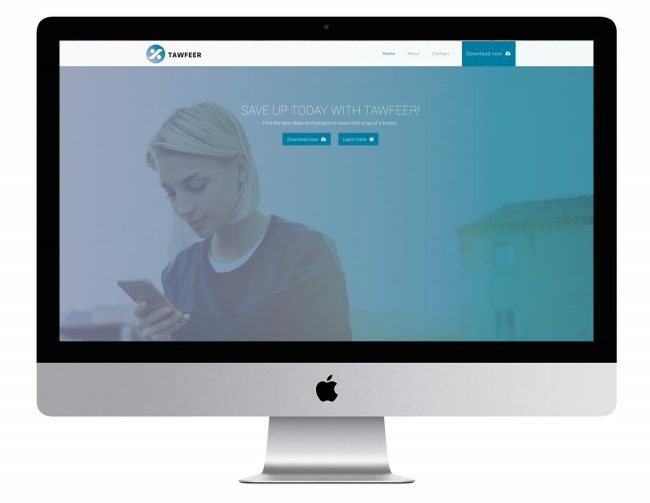 Tarek Atrissi Design was commissioned by the entrepreneurs behind the Tawfeer app to design the branding for the company and the interface of the application. 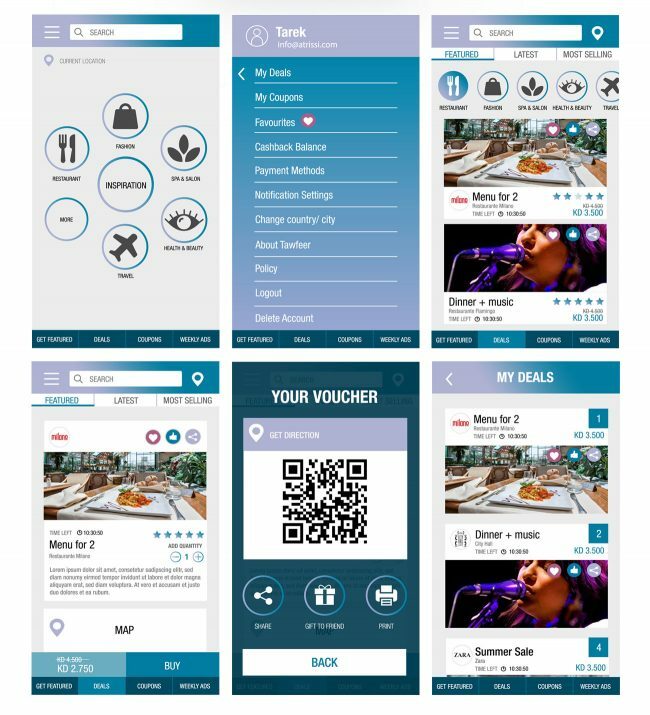 The process started by defining the wire frames of the application, developing the functional scenario for the user and defining the layout an interactive experience of every screen of the app. After this, the focus was shifted to developed the visuals design for all screens needed for the app that included the design of a series of icons to cover all the sections and industries in which the app is offering discounts. As part of the branding and interface guidelines, the final design of the app was done and delivered for programming and production as a final iTunes app. 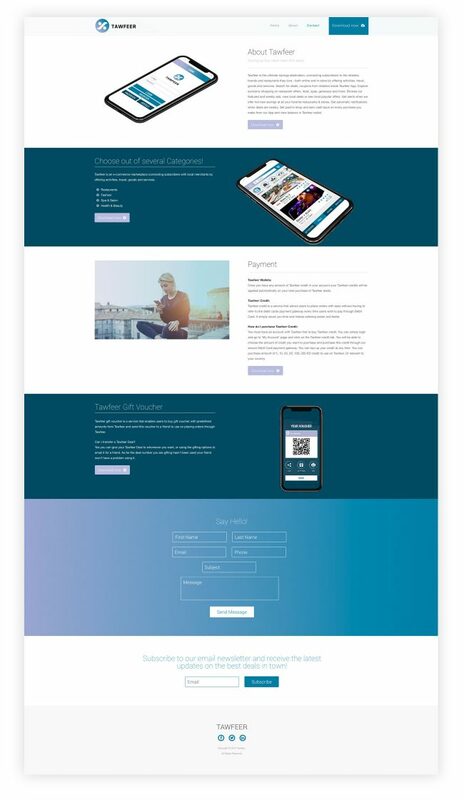 The scope of work also included the design and programming of the he website to promote and encourage downloading the app. 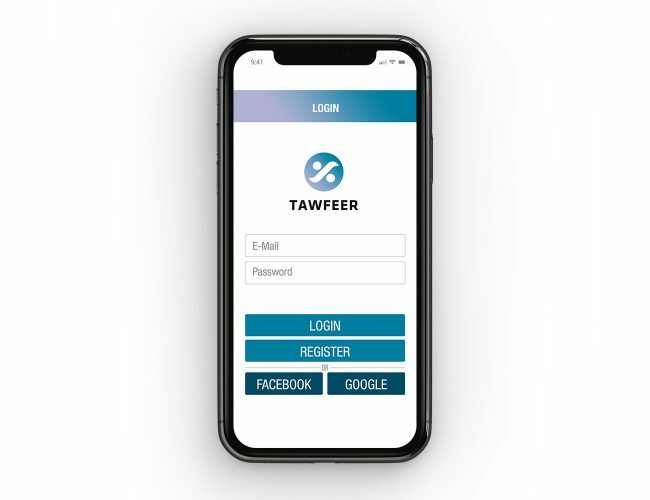 Below you can see a short video that we developed as an add on Instagram to explain the newly launched app particularly in the markets of Kuwait, Dubai and the Emirates.